For the most of us we maybe polishing off the last of the chocolates or eating the last slice of Christmas cake, however, did you know that food manufacturers are already planning and producing Christmas cakes and Christmas puddings for December 2019. Christmas doesn’t just come around one day a year for the food industry, some companies manufacture and produce festive food 365 days a year! In the UK, there are several bakeries and cake manufacturers that not only have to make sure they have enough produce for the UK domestic market, but for exporting to Europe and worldwide too! Thus, festive food production never ends! Christmas pudding is still the most popular Christmas day dessert among over 55s, 59% of whom eat it on Christmas Day. Christmas pudding is an English tradition that began as plum porridge which people ate on Christmas Eve; as a way of lining their stomachs after a day of fasting. This recipe soon evolved as dried fruit, spices and honey were added to the porridge mixture, and eventually it turned into Christmas pudding and Christmas Fruitcake. Today, fruitcake is a cake made with candied or dried fruit, nuts, spices, dark soft brown sugar, muscovado sugar or molasses and soaked in spirits, then decorated accordingly. All Christmas cakes and puddings should be made in advance of Christmas. Many people make them months before Christmas and top up them up with a small amount of alcohol at regular intervals; this process is called “feeding” the cake. Plus, fruit cakes and Christmas puddings can last a long time as the sugar ingredients act as a preservative, and the added alcohol helps to kill bacteria and prevents mould. Established in 1928, Ragus today are a leading supplier in the production of brown sugars, syrups and treacles for major food, drink and pharmaceutical companies. We supply many leading cake and bakery manufacturers with their pure sugars as ingredients for taste, texture and appearance; including the oldest manufacturer of Christmas puddings in the world, who makes a staggering 96% of the UK’s puddings! · BL10 Dark Soft Brown Sugar has a dark-brown appearance with a strong rich taste. Its texture is fine/medium, and it will provide strong flavour and colour to fruit cakes, toffee and savoury sauces. It’s high molasses content also adds moisture to cakes. · BL01 Dark Cane Muscovado Sugar is also dark brown in appearance and has a strong rich flavour with a fine/medium texture and is ideal for chocolate-based preparations, rich fruit and Christmas cakes. It’s fine texture suitable for savoury sauces, chutneys, pickles and toffee sauces. 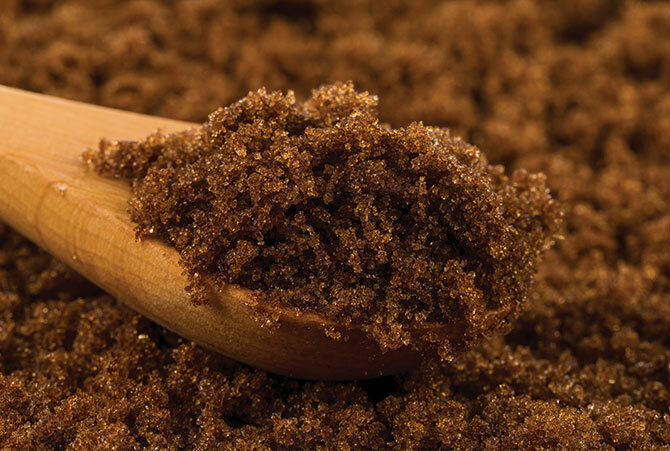 Plus, it’s high molasses content, enables a one-product application, replacing white sugar and molasses. · TM03 Cane Molasses is black in appearance with a very strong taste and a thick/coarse texture. It is suitable for Christmas puddings, toffee and savoury sauces. · TM10 Molasses 78% is black in appearance and also has a very strong flavour profile but it has a lower sugar value for added pourability. It is suitable for Christmas puddings, toffee and savoury sauces. Our UK sugar factory has been designed to the latest food manufacturing standards, uses highly efficient processes and includes smart technology to ensure we deliver our pure sugars, glucose syrups and specialist blends on time and in full to customers. We supply artisan bakers and brewers to well-known blue chip global brands with sugar products that are used across the baking, brewing, confectionery, drinks and pharmaceutical, industries. We are always happy to offer advice to new and existing customers to help with all their pure sugars needs.